Napoleon felt his cuirassiers were of greater value than any other type of cavalry, and took 12 regiments on his disastrous invasion of Russia in 1812. 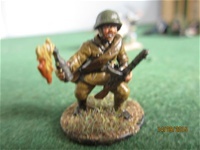 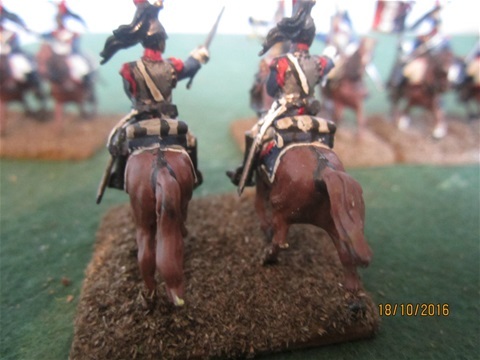 Their value was as a heavy blow to shatter a wavering enemy and were the 'shock troops' of their day, ready to smash through any weaknesses in the enemy line and win the victory. None were more famous than the French, with the image of thousands of them pouring over the field of Waterloo as one of the most instantly recognisable in military history. 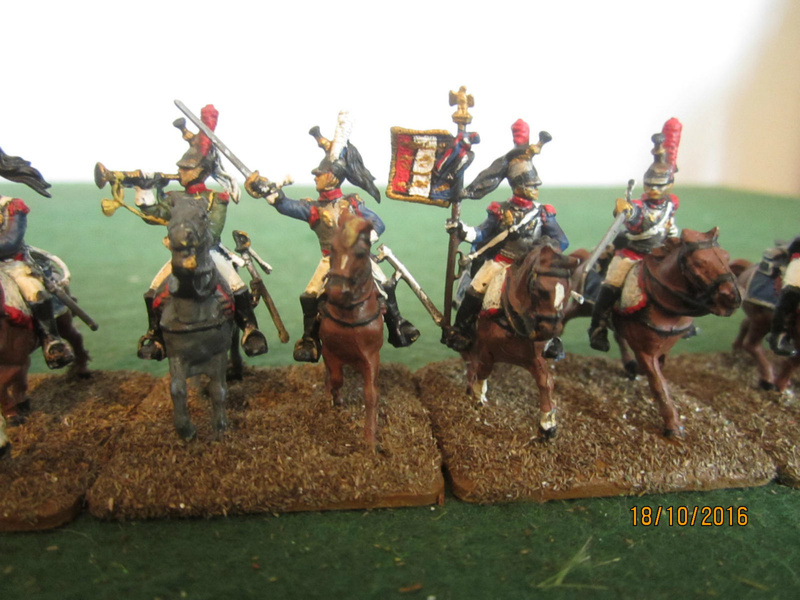 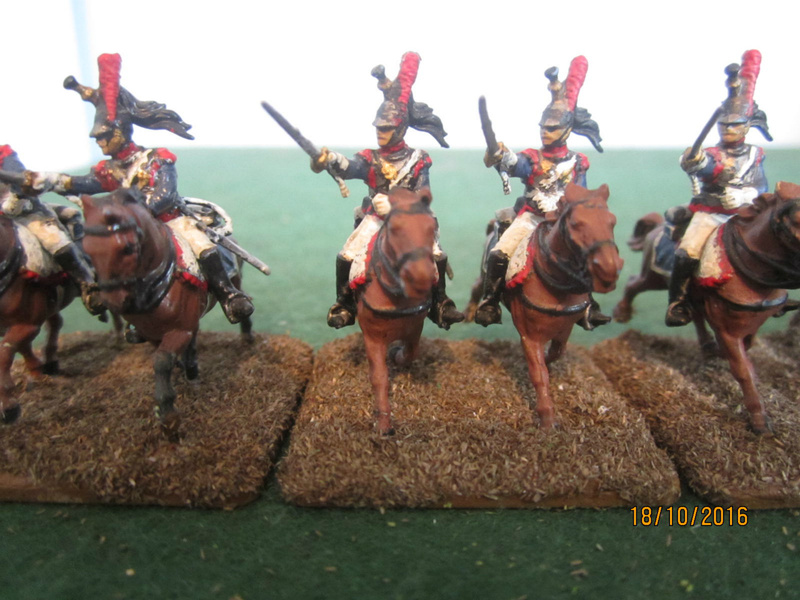 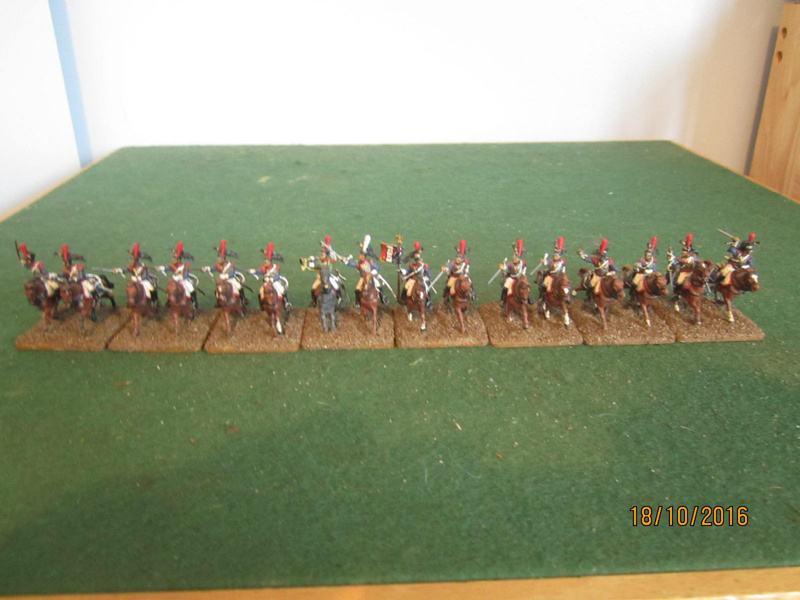 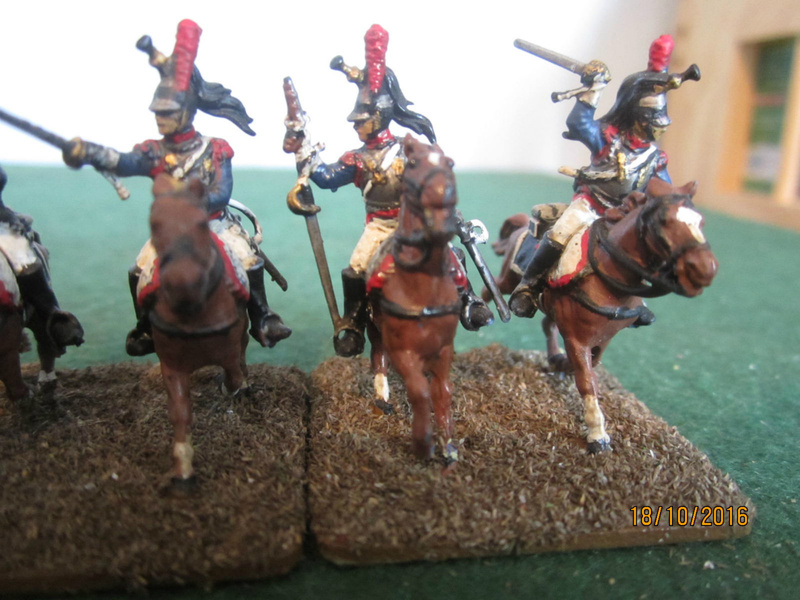 , making them something of an elite amongst cavalry although in Napoleon’s army they were never admitted into the Guard. 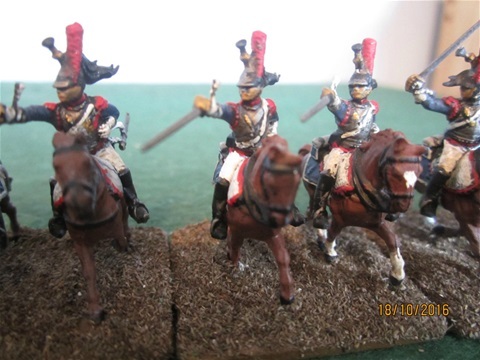 Their glamour and impressive uniform have made them a favourite subject for manufacturers and modellers, these are among the best on the market.The uniform is correct for the period 1807 to 1815, although it should be noted that the plumes, which every man here has, were often removed or covered when on campaign.